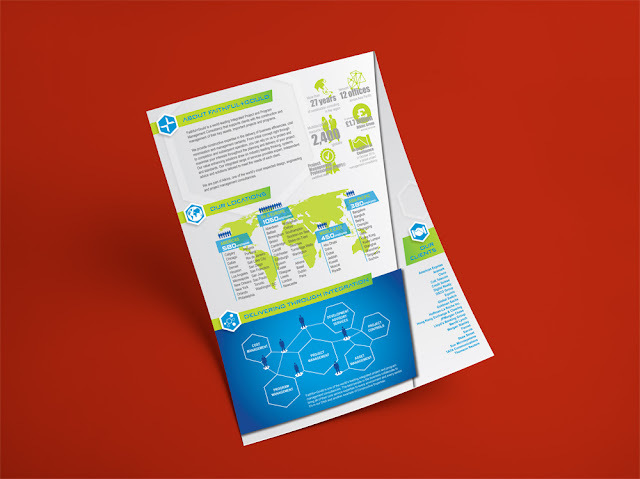 A leaflet containing a brief company profile and, on the opposite page, information on site considerations for data centres and mission critical facilities. I designed the layout of the document based on the company's visual identity guidelines. Assets such as icons and the Delivering Through Integration diagram were provided by the company.